A shocking fact comes to light from the CBSE and ICSE textbooks and after reading it you might get angry. 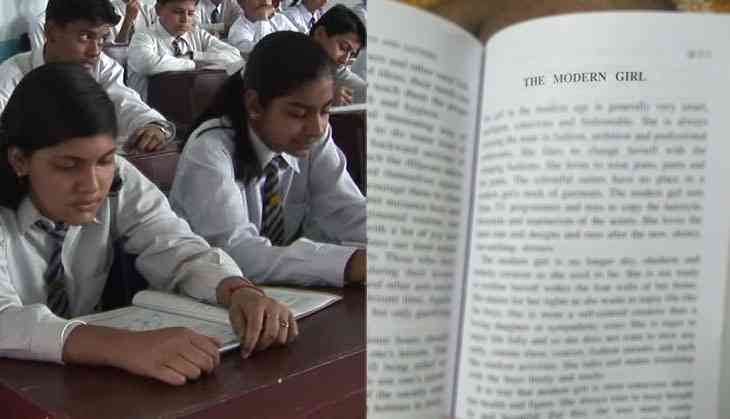 Yes, CBSE and ICSE textbook for the Secondary and Higher Secondary School students defined the meaning of ‘modern girl’. According to the textbook, a modern girl is selfish to think about others and cares only about her clothes and cosmetics. In the book, it has also written that the modern girl is no more shy and obedient. Such shocking things have been written in the book of essays called ‘Current School Essays and Letters’ which is published for the fifteen to sixteen years old school students. The book has been written by Kolkata-based author Purabi Chakraborty. However, this issue comes to light when a Kolkata based Abhik Hazara noticed it in his cousin’s book. Also, he noticed that the book also highlighted the role of parents and other family members in the upbringing of a modern girl. As soon as this image has been uploaded on the social media, the netizen filled with anger. What do you think after reading about the 'modern' girl in this textbook?